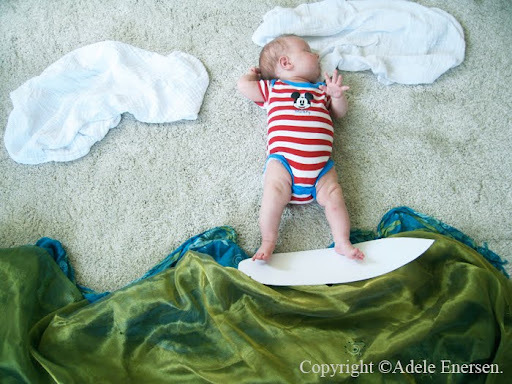 The blogosphere has been ablaze for the past week with one artistic and creative mother's (Adele Enersen) impromptu photo shoots featuring her sleeping baby girl in various whimsical poses and backdrops constructed and fashioned out of household items. 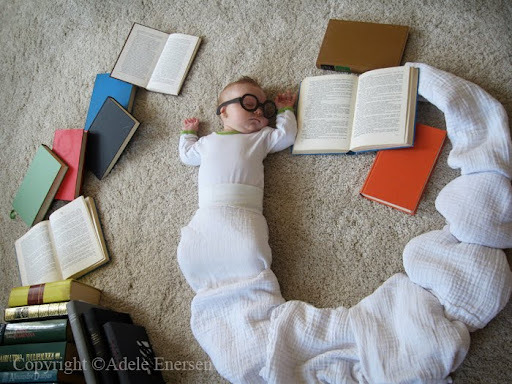 Seriously, does it get any cuter or more poetic than this? Mila will certainly cherish these photographs for life. And Adele, while the rest of us are just trying to grab a quick shower, your art is blossoming alongside your beautiful daughter. Visit Mila's Daydreams to view more enchanting photos.